Amid open war on reproductive rights, anti-choice supporters of the new Gosnell film want it to change hearts and minds. Will they succeed? 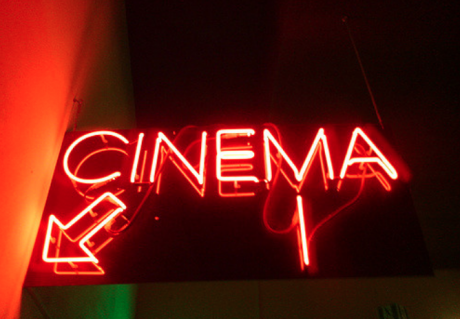 Cinema sign. Photo: Flickr/weegeebored. CC BY-ND 2.0. Some rights reserved. At first glance, it looks like many other cop and courtroom dramas. But this film is different. It was made by a pair of conservative pundits, commentators for right-wing outlets like Breitbart and Townhall.com, with a track record of making films attacking “global warming hysteria” and critics of fracking and mining. With their new film, they've inserted anti-abortion propaganda into a formula proven to attract moviegoers: the suspenseful, true crime genre. Gosnell is just one of several anti-abortion films to hit US screens in the coming months, amid open war against women’s reproductive rights. It dramatises the story of Kermit Gosnell, a Philadelphia doctor convicted in 2013 of the murder of three infants after failed, illegal late-term abortions, and of the involuntary manslaughter of a patient. He was imprisoned for life. Reproductive rights groups did not defend Gosnell. They condemned him and warned that restricted access to safe, legal abortion is what drives women to such “back-alley butchers.” Meanwhile, anti-choice activists used his case to present all abortion as dangerous, and all providers as untrustworthy rogues, in campaigns for even more restrictions on these services. The new film's promotional posters feature a bloodstained image of the title character and the words: “THE DOCTOR IS SIN.” It uses classic character types, virtuous heroes who must battle their institutions to do what’s right, and some adrenaline-pumping music, to rattle viewers and present Gosnell’s case as the inevitable result of legalised abortion. It’s far more sophisticated than holding a graphic image of a foetus on a sidewalk. But the film’s creators, Ann McElhinney and Phelim McAleer, are professional media-makers. Previously, they've done work for outlets like the BBC. Though they have complained of censorship by movie theatres, movie reviewers and advertising departments, Gosnell is in hundreds of cinemas. It's distributed by GVN Releasing, a Sony Pictures partner, and stars Dean Cain, who millions of Americans watched on television in the 1990s series Lois & Clark: The New Adventures of Superman. “It is not gory, it’s PG-13, it’s a Law and Order episode,” said McAleer, referring to the popular, long-running television crime series. “It is not gory, it’s PG-13, it’s a Law and Order episode"
McAleer also claimed that Gosnell is “not a pro-life film. It’s a journalistic film.” Yet, these filmmakers have a clear position on this issue. They’ve celebrated Donald Trump’s administration as “amazingly pro-life,” for example, and met Vice President Michael Pence at last year’s anti-abortion March for Life. Before its 12 October cinema release, Gosnell was screened at US anti-abortion events and in Dublin, ahead of Ireland’s historic abortion referendum. The anti-abortion US National Right to Life group has called McElhinney a “dear friend.” At a Texas Alliance for Life event earlier this year, she said to applause: “There’s no such thing as neutral on abortion". McElhinney at a Conservative Political Action Conference. Photo: Mark Taylor/Wikimedia Commons. CC BY 2.0. Some rights reserved. The “true story” the Gosnell film presents is that all abortion is murder and legalisation enables doctors to defy medical ethics. As writer Robin Marty noted on the NBC News website, this movie is “purposefully misleading”. Gosnell does not represent all abortion providers, just like paedophiles in schools or churches don’t represent all teachers or priests. Nor are late-term abortions the norm: 91.5% of abortions in the US happen before 13 weeks. Just as anti-abortion activists did during Gosnell’s trial, the film claims there was a “cover-up” of his case and a “media blackout”. It suggests that his crimes went unchecked because pro-choice people in power turned a blind eye to them. And it goes further. “Gosnell is a pro-life movie,” explained one writer for the conservative National Review, because it “exposes the fact that all abortion necessarily involves the death of a human being”. Who funded this film? Its press packet says it was “primarily crowd-funded” – but doesn’t disclose its final budget or other investors. The crowdfunding platform Indiegogo says the film raised $2.3 million – with more than 15 donations of $10,000, one of $25,000, and many smaller sums including from chapters of anti-abortion groups from Nebraska to California. Another report cites $4 million raised from different sources. This summer, McElhinney wrote about meeting an (unnamed) “substantial donor” at his house where “he asked if we could pray… thanks to God that Trump was president”. Behind Gosnell is a whole team of conservative media-makers. Its executive producer has worked with Dinesh d’Souza on right-wing political films. 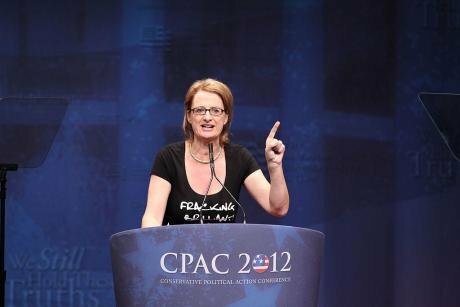 Last year, its director guest-hosted the conservative Rush Limbaugh radio show. Conservative media personalities also helped promote the film – including Breitbart UK executive editor James Delingpole, who invited readers of right-wing weekly The Spectator to donate to the project. In the US, Kevin Sorbo (who played the title character in the 1990s TV series Hercules), made a YouTube video encouraging donations. Sorbo, and Cain, have previously hosted editions of the annual 'Christian Oscars’ put on by Movieguide, a partner of the anti-abortion and anti-LGBT rights World Congress of Families. Movieguide, which also publishes film reviews, praised Gosnell as “a compelling, well-acted drama from a pro-life moral perspective”. There are large gaps in what the film shows its viewers, according to a 50.50 researcher who watched it in a cinema on its opening weekend. These include the stories of women who went to Gosnell's clinic, she said. Why were they seeking abortions in the first place? And how, in a state where abortion was legal, did they end up here? The movie also doesn’t show what happened after his conviction – how new laws were introduced, amid pressure from anti-choice groups, that placed new restrictions on abortion providers. In Pennsylvania, where Gosnell operated, there were only 42 abortion-providing facilities in 2014 – an 11% drop from 2011 – and almost half of women lived in counties with no providers at all. 2018 has seen further restrictions brought in, including in Pennsylvania. This is the context in which this film has come out – amid emboldened anti-abortion movements and open war against reproductive rights. During next week’s midterm elections, three states (Alabama, West Virginia, and Oregon) will also vote on ballot initiatives that would restrict abortion access. Next year, two other anti-abortion films are expected to hit US screens – Roe v Wade, about the 1973 Supreme Court judgement that legalised abortion, and Unplanned, about the reproductive rights charity Planned Parenthood. So far, the Gosnell film has made more than $3 million at box offices. Though the filmmakers continue to present it as under attack, complaining that some movie theatres have dropped it, that reviewers have ignored it, and that they've struggled to place advertisements for it. McAleer said some cinema workers are also advising customers "not to go, that it's propaganda." Despite this, the film has “changed people from pro-choice to pro-life”, they claimed in a recent email newsletter to subscribers. It also “saved a life", they said, when one group of moviegoers was “so moved and motivated by the film that they decided to go and stand at a nearby abortion clinic” where they “met a woman going for an abortion and... inspired her not to go in”. We're at “one of those rare moments in time when the pro-life movement has the opportunity to make serious impact on the hearts and minds of Americans”, McElhinney said. “So what can you do? Keep buying tickets".